Today, we are revisiting one of our favorite posts about a trailblazer, tastemaker, trendsetter, and entertaining inspiration. 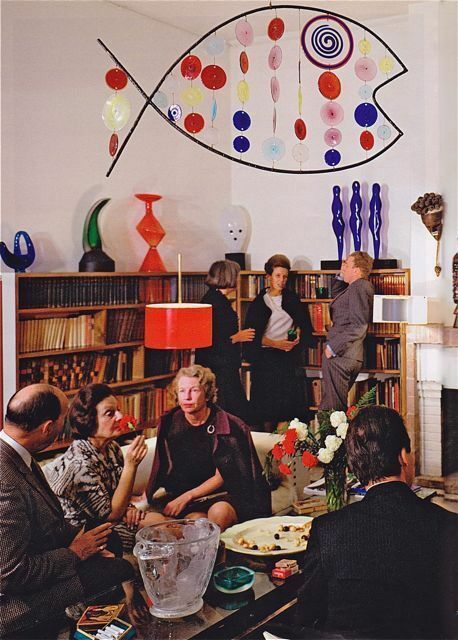 I’ll never forget the day I was introduced to Peggy Guggenheim. It was an October morning in Venice in 1999. The weather was lousy. It was cold and damp – the kind of day that chills your bones. Venetians were out and about, wrapped in fashionable trench coats with the collars turned up to defend against the wind. I stood along the Grand Canal in my college-chic GAP hoodie, entranced by gondolas slowly bobbing on the steely water. Jagged waves lapped against sinking plaster buildings and everything was eerily gray, like a pastel drawing that had been washed away with a sponge. At the time, I was an art history student living and studying abroad. For weeks I had been traveling throughout Europe visiting the most important works of art from antiquity through the Baroque. This journey had taken me to the Louvre, the Prado, the Venice Academy, and more. Quite honestly, all of the masterpieces were beginning to bleed together and I was tired. In fact, I wondered if I wasn’t having some sort of allergic reaction to old art, as I seemed to lose my energy every time I entered another museum. On this particular day, I was excited to be changing things up and visiting a museum of modern art, The Peggy Guggenheim. I turned away from the cold air along the Grand Canal and entered her museum. Once inside my eyes grew wide as I took in the scene. It was as if I had entered another world. The Italian palazzo, which was had been her home from 1949-79, felt alive – it was breathing with bursts of vibrant color, undulating lines, splatter marks, and wild textures. The rooms did not feel “over stuffed” as some galleries do. Instead, each piece of art was given room to shine. I felt true joy as I examined works by Picasso, Dali, Kandinsky, and Klee. 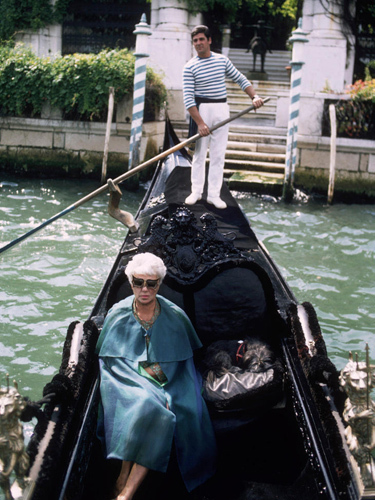 An eccentric heiress from the United States born in 1898, Peggy Guggenheim’s interest in avant-garde art developed while she was living in Paris in the 1920s. It was there that she was introduced to writers and artists who were challenging social norms of the time. Peggy, who as a teenager shaved off her eyebrows to shock those around her, found kindred spirits in Man Ray, Marcel Duchamp, and Samuel Beckett. It was because of these relationships that she began acquiring works of the Dadaists, Cubists, and Surrealists and abstract expressionists. Not an artist herself, this was Peggy’s way of becoming a central figure in this world of original, innovative ideas. Peggy ran galleries in Europe and America. During World War II, she shipped a huge number of paintings out of Paris to New York City, protecting them from the Nazi war on Modernism. She gave Jackson Pollock his first exhibit, as well as several other artists whose work would influence modern culture. She had a terrific eye for spotting talent, anticipating the next “big thing”, and was happy to give her muses an international stage. After visiting her museum, I became a huge fan of Peggy Guggenheim. I quickly devoured her biography Art Lover by Anton Gill. 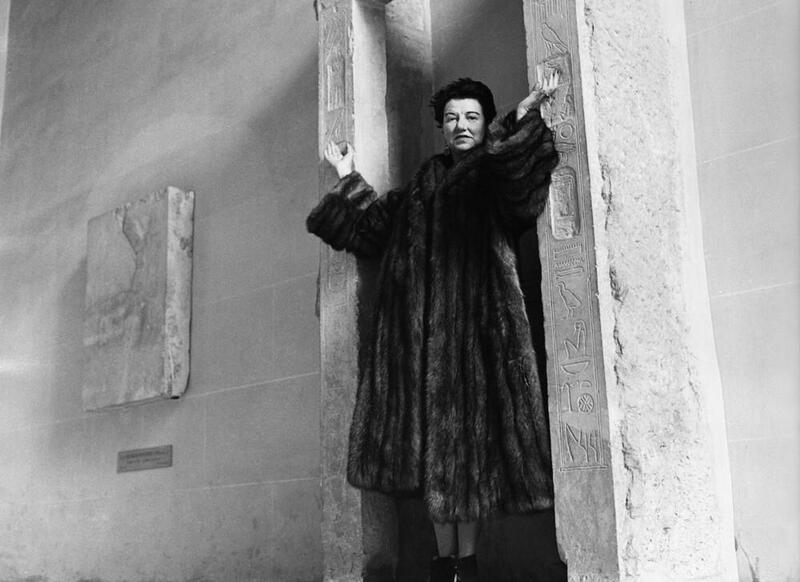 In 2015, a documentary film on her life was released: Peggy Guggenheim Art Addict, which features intimate interviews with Peggy. Today a photograph of one of her cocktail parties hangs in my living room, reminding me to savor the simple pleasures in life. Peggy loved being surrounded by creative people with creative ideas, and she was well know for hosting parties for her friends. It is said she usually served horrible food and bad wine, but people always attended her gatherings because they celebrated life. And that is what people loved about Peggy. So often these days, if you pick up a book on entertaining you’d think you have to be a Michelin star chef in order to host an event. What if we just served mediocre food and cheap wine, and instead focused on building deeper friendships? Wouldn’t it be amazing to skip the fancy name cards, cloth napkins, and menus scrolled on chalkboards? Would the world fall apart? That is why Peggy is one of my entertaining heroes. Let’s celebrate idiosyncrasies. Instead of being shallow, let’s go deep where the most interesting connections happen. Spending time with family and friends is one of the greatest pleasures in life. This year, I resolved to host more gatherings for the people I love, and to create more family traditions. It is time display my favorite pieces of art, serve imperfection on a platter, and spend quality time with the people who bring joy and laughter into my world.